Evolution has been described as the grand unifying theory of biological science. Due to it´s explanatory value it is of great importance to find effective ways of teaching and learning evolution. From a society standpoint, knowledge of evolution is of substantial significance among the public given contemporary examples, such as antibiotic resistance, pest control and genetically modified organisms. The learning of evolution and associated concepts has, however, proven difficult for students regardless of study level, and thus, an important area for research is to find ways to facilitate understanding of the mechanisms of evolution. During the last decades, visualization gained increased interest in research on learning. Our research explores animations as a means of learning natural selection. It might be argued that the Swedish public has a relatively high level of belief in evolution but this is not equivalent to a correct understanding of the evolution per se. A belief in evolution does, for example, not help us understand why precautions with antibiotic usage are of outmost importance. The purpose of this project is to provide scientifically valid information on how to make threshold concepts of life science tangible for learners. Threshold concepts are fundamental for mastering a specific domain and typically cause a cognitive and ontological shift when grasped. Therefore, promoting such transformations is highly desired. The project will target biological evolution. A meaningful understanding of evolution theory is relevant for many areas of individual, social, and scientific life, but is shown by science education research to present severe problems to learners. Non-perceptible features of evolution, such as inconceivable timescales and sub-microscopic dimensions, and concepts that are partly contra-intuitive are among the obstacles. Building on our earlier results and the possibilities provided by modern media technology, we will create an interactive non-linear story-telling system, comprising of animations and challenging instructional support. We will explore the potential of the system to help students to acquire threshold concepts. Our approach is collaborative and cross-disciplinary and uses mixed qualitative and quantitative methods. Collected data will include log-files, eye-tracking, think-aloud sessions, group discussions, interviews, and test probes, from multiple samples of participants at secondary and tertiary levels as well as the public. The analysis will include subject content, cognitive, semiotic, design and interaction perspectives. WP2: In the next step of the project the selected animations will be studied. A series of explorative case studies will target the questions, what and why students learn, or do not learn (or misinterpret), from interpreting the selected visualizations. WP4: In WP 4 we will develop an interactive story-telling demonstrator with the overall goal to communicate the selected key topics related to evolution. The aim is to connect instructional support for teaching and learning evolution. WP5: Our research objective in WP 5 is to understand the potential effect of the visualizations on students' cognitive concept development and learning. The demonstrator will provide opportunities to test and tune features in the system: e.g. the animations, the instructions and the feed-back packages, and to test alternative connection story-transitions, and explorative interaction environments. The part of biology will take place at the IPN, Germany. 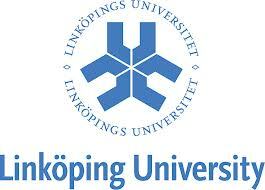 The visualization und technical part will be done at the University of Linköping by the team of Prof. Dr. L. Tibell, Sweden.